Some nights at the All-Star Game, a player is simply on fire. Randy Smith's performance in 1978 was the personification of just such a notion. Smith scored 27 points off the bench (on 11-for-14 shooting) and nailed deep buzzer-beaters at the end of each quarter in the first half in the East's 133-125 win at The Omni in Atlanta. Two future Hall of Fame big men with ABA roots made their All-Star debuts: Moses Malone and Artis Gilmore. Julius Erving, playing in his second NBA All-Star game, shot a dismal 3 for 14 from the field but still managed 16 points by knocking down 10 free throws. 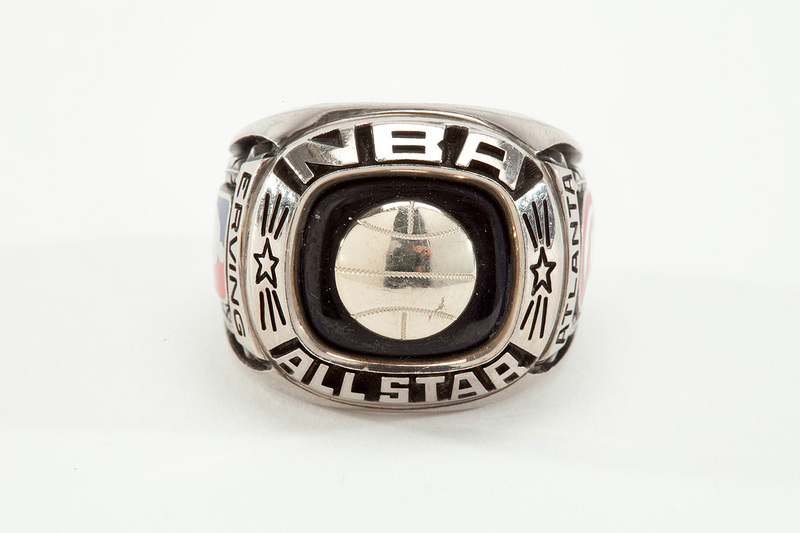 This is the actual ring presented to Julius Erving in honor of his participation in the 1978 NBA All-Star Game. This size 11 ring is stamped “Paladium Plus” on the inside band along with a serial number. 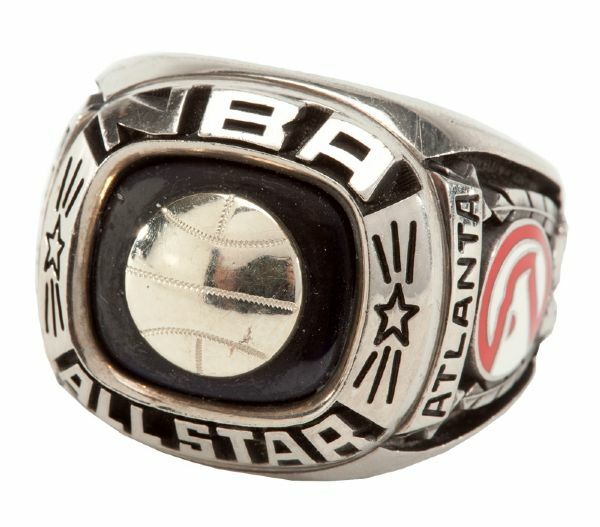 It features a metal basketball at center set atop a dark blue backstone flanked top to bottom by "NBA" and "ALL STAR." On one side of the band, the name "ERVING" appears bannered above the official NBA logo in red and blue enamel and year “’78”. 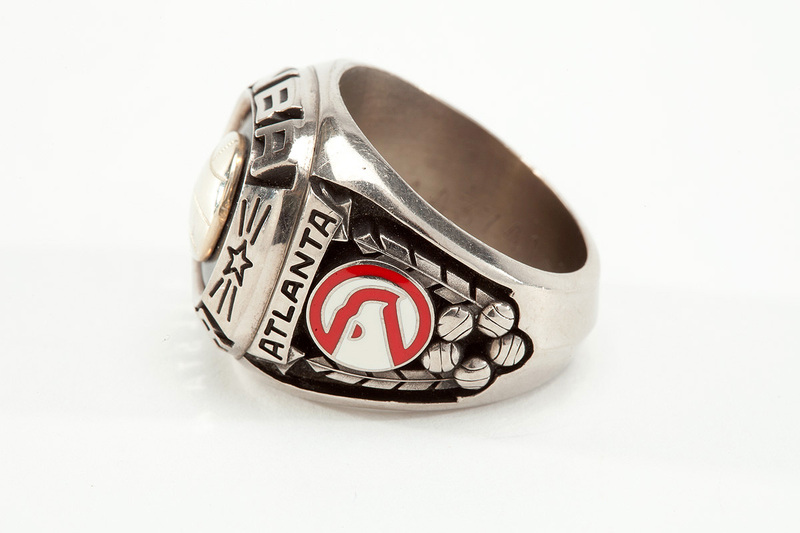 On the opposite side of the band the host city “ATLANTA” is bannered above an enameled Atlanta Hawks logo. 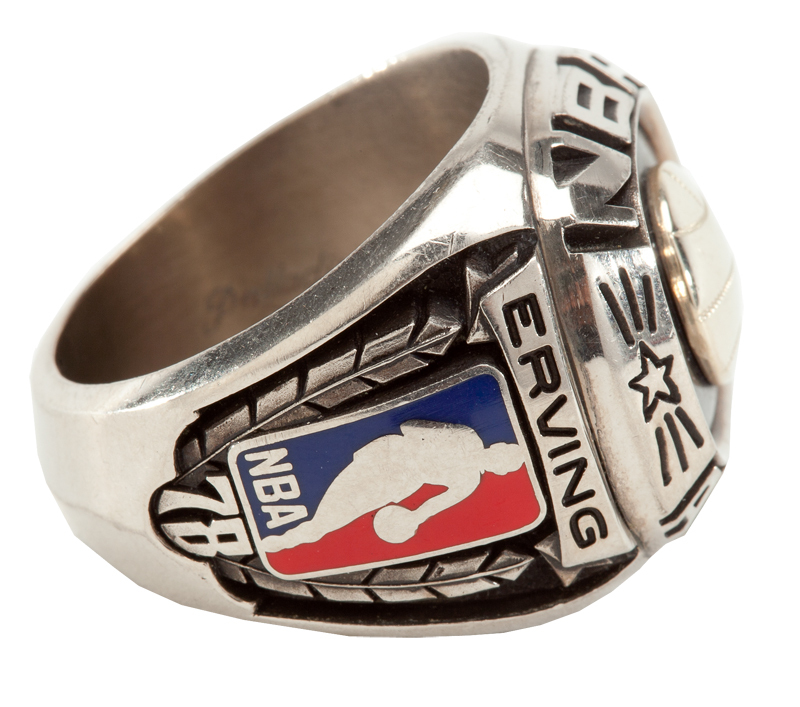 Erving’s 1978 All-Star ring remains in Near Mint condition.